A2B Stairlift Services Ltd. was founded in 2010 by Martin Kearney. 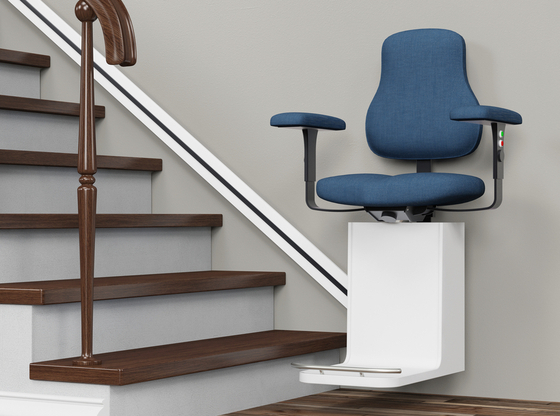 Martin already had 12 years’ of experience in the industry and set out to establish a stair lift mobility business that did things differently. Discouraged by past experiences in the mobility industry, particularly with the lower than average customer service and low-quality products, Martin wanted to enact positive industry change. A2B Stairlift Services Ltd.’s main objective as a business is to give clients the peace of mind they deserve. Ease the process and cater to the specific mobility requirements of the client. They operate meticulously with all local authorities and HSE departments. From the beginning, A2B Stairlift Services Ltd. have been customer focused. A2B Stairlift Services Ltd understands that their products and services can change a person’s life. Their objective is to assist as many individuals as possible and never lose sight of their guarantee to clients. A guarantee that promises quality products and outstanding service provided by qualified and expert engineers. The Essential stair lift is one of the simplest ways to stay in your home and relish the liberty of independent barrier-free living. Fitted to the stairs in a domestic property in only a few hours, the stair lift carries clients effortlessly and gently up a straight flight of stairs. The Essential stair lift is exclusively compact – with the thinnest fold-up dimension on the market at only 270 mm wide. The newest addition to A2B Stairlift Services Ltd’s product range: the Elan Stairlift is notable for it’s high performance and reasonable price. The design of the Elan stairlift is very space efficient, leaving loads of space to walk on the stairs. The slim rail can be fitted as close as 127 mm from the wall and with the armrests, seat and footrest folded, the Elan takes up only 305 mm. Interested in more of A2B Stairlift Services Ltd products? Get in contact with them directly.